Genesis is one of the most popular progressive rock bands of all time. Actually, one of the most popular bands, period. The band released a lot of albums in very distinct phases (either 2 or 3, depending on who you ask). And amongst its admirers, you’d think there’d be a consensus about what constitutes the band’s best work. Well, this exercise I had my three writers participate in clearly shows that there is not; one man’s “meh” is another man’s genius, and that’s what’s wonderful and amazing about music appreciation; it’s personal, and that’s the magic and mystery of it all. Hats off to Phil, Tony, Mike, Steve, Peter, Ant and yes, even Ray as well as Chester, Bill and Daryl for all the pleasure their music has given us. Yes, I’ve put this in ahead of most of the Gabriel era, but hear me out. After Foxtrot, they were riding the crest of their creative peak. Calling All Stations, on the other hand, catches the band in unknown territory and leading with the left foot. Phil had abandoned them at their most commercial, with the dark, husky (Gabriel-like) tones of Ray Wilson as his replacement. So, how did they deal with such upheaval? Well, they turned 90 degrees and went heavy! The drums had tons more weight, the guitars had lots more aggression and the lyrics probed much deeper. Okay, the final song selection was a bit dodgy — some of the better songs wound up as B-sides to the expendable “Shipwrecked” and “Not About Us” — but nevertheless, to me this was by far their best album since Duke. I just wished the band had not judged the album so harshly based on its poor reception in the U.S. (we Europeans were far more positive). I’d have loved to have heard how their sound developed. I have a soft spot for Trespass. They were young, ambitious and creative, but still very much a band in development. Sure, it lacks a fair amount of spit-and-polish, but listen to the songs themselves. I love the whole pastoral folkiness of it, culminating in the jaunty gallop of “The Knife” — a song so unusually complex and meticulous for such a young band that it knocks you totally off-guard. 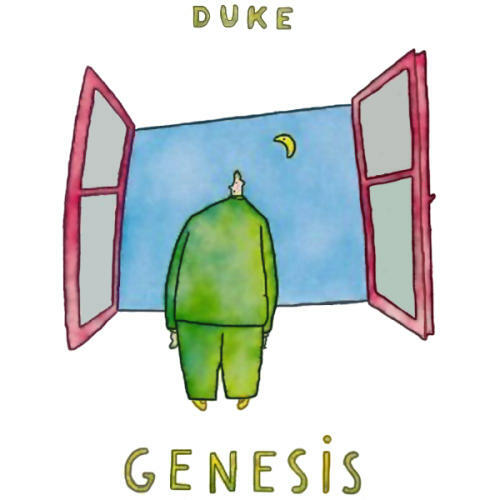 I’m going to be controversial (again) and throw in a Steve Hackett solo album, but to me this is the best album Genesis never made. In fact, it’s practically Genesis from a parallel universe where Tony Banks jumped ship after Seconds Out instead of Hackett. The English middle-class folky melodies remain, as do the sturdy fusion-like rhythms of Rutherford and Collins in their prime; however, with Banks out of the way, Steve is given free reign to pepper the album with his dazzling guitar runs and tactile twelve-string technique. Besides — on no Genesis album will you find such a dramatic and slow-burning epic as “Shadow of the Heirophant”. Two words: “Supper’s Ready”. A track that not only defined the album but the whole genre. Yes’s “Close to the Edge”, awesome as it is, is a distant second. In fact, if I didn’t find “Get ‘Em Out By Friday” a bit iffy, the album would be almost perfect since it is loaded with dynamics and character, garnished with the most iconic mellotron intro ever made. Forget the plethora of “hits” compilations — if you want a comprehensive summary of Genesis at their creative best, this is it. “Supper’s Ready”, “Firth of Fifth”, “Carpet Crawlers”… it’s all here; performed with a surprising amount of skill, energy and confidence considering it was recorded during Phil’s first few outings as front man. If that’s not enough, you’ve also got a full-on drum battle between Bill Bruford and Phil Collins — two world-class drummers at their peak, locking horns in a very evenly matched display of skill. Notable exclusion: 6. Trespass: This album pointed to the genius of the others mentioned above … and Anthony Phillips’ guitar on “White Mountain” is truly brilliant. I really like the synths on this album … Tony Banks really made this special. It is less prog than the earlier albums, and “Your Own Special Way” is a rather lovey-dovey delight … but it works for me. The rather subdued beginning of the opener, “The Musical Box”, is such a delight, especially as it evolves into a raucous air-guitar fest before Gabriel starts singing about Old King Cole. It is truly bonkers but in a good way. From the euphoric opening, “Watcher of the Skies”, it is just mental — frenetic and calm and pretty much every point in between. We need more bonkers in music and this is testament to why. “Get ’Em out by Friday” has the most amazing syncopation too … with keys that never get old to me. Why? Because it features “I Know What I Like (In Your Wardrobe)” which, thanks to Top Gear, holds great memories … and the epic “Firth of Fifth”, which is simply a joy to listen to and demonstrates everything that is ‘right’ with progressive music. I discovered Genesis when Phil had long assumed the role of lead singer, and Peter was an established solo artist with four albums already. So my perspective might be slightly skewed, but these are honestly my fave albums. I know what I like! Side 2 holds up better for me than Side 1, although “That’s All” is one of their best singles (next to “Turn It on Again”). A mix of dark progressive (although not as technically difficult as their other albums) and pop/rock and even novelty (“Illegal Alien”). Probably my fave of the PG era (yes, more than “The Lamb”), the last album the whole band were working together and some of the most enduring melodies in their catalog. Some falldowns like “Battle of Epping Forest” are more than made up for in “Firth of Fifth” and “After the Ordeal”. Some of Banks and Hackett’s best work. Peter’s gone, but from the opening power of “Dance on a Volcano“, I get the feeling the band is out to prove something. Although as a singer I prefer Peter, Phil’s vocals work really well with the material the band are writing and it’s an album that doesn’t really get enough praise. Even with Phil bringing in the Earth, Wind, and Fire horns (in fact, a number of these tracks could be mistaken as PC solo tunes), there are so many weird mixes of pop, new wave (“Keep it Dark“) and progressive hangover that it remains a fave after going back to it many times. Although the b-side “Submarine” should’ve been on the album and “Who Dunnit?” left off. Is it a concept album? I believe it is, but it gels so nicely together. These songs work as standalones and as an album — nothing feels out of left field and some of the best writing the band has done together as a trio. Plus you get their best single, “Turn It on Again“, and Phil even learns the Zappa drum-fill from Chester. Say what? Yep. Okay, so my thing for Phil is acknowledged and public, but all that aside, the eighties was an era with a lot of hit pop albums. A LOT — it was the decade when a lot of coke and LPs were sold. And this is one of the best of the latter, totally packed with toe-tapping charmers from the title track on. How many hits were on this, anyway, six? Seven? AND there’s even the occasional prog remnant to be found on such tunes as “Domino” and “Tonight, Tonight, Tonight”. Phil was king of the music world at this time, and damned if you can’t just feel it. Once you get used to all of Banks’ digital fooferaw and argle-bargle, it’s magical. You might think I’m nuts for picking this over albums like Foxtrot and Nursery Cryme. I could play those albums all day, but as pointed out earlier, there’s a pastoral, ethereal quality to this album that didn’t appear much on Genesis albums thereafter; aside from the aggression of “The Knife”, it’s mostly tranquil and almost medieval in flavour. And “White Mountain” makes me feel sad for that poor wolf — see, empathy! That’s what music’s all about. Yes, this is the big album where PC replaced PG, while still singing kind of like PG. Yes, it’s actually the album that really made the band a hit, especially in the U.S. But really I love it because it’s just a very coherent set of melodic art-rock; it’s by turns fun with “Squonk”, mystical with “Ripples” and tense with “Dance on a Volcano”. But the capper for me is the surreal ballad “Entangled”, with those lovely spacy synths and chiming guitars and that sing-song melody. Perfect! Banks really asserted himself on this album. The obvious choice, and most people’s, no doubt. It contains almost every iconic “early Genesis” moment: the guitar solo in “Firth of Fifth”, the uplifting synth theme in the middle of “The Cinema Show”, the elegant chords of “Dancing With the Moonlit Knight”, the weird spoken word bits and the hook of “I Know What I Like”. The sheer inventiveness, melodic sensibility, instrumental dexterity and charisma on display here are dazzling. How could anyone not like this music? But still, there’s a better album than that. Fortunately for my aching fingers, I already wrote a long review of it, which you can read right here to find out why this is the best progressive rock album of the seventies (or probably ever). 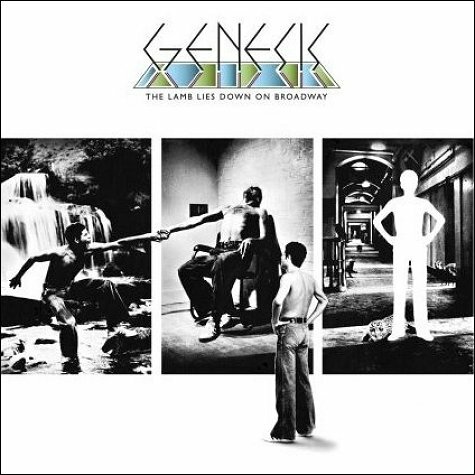 I grew up with Genesis albums in the ’70s. I suppose I am a stereotypical Prog Rocker in many respects. I stuck with the band and bought all of their albums up to and including “Invisible Touch”, but I was becoming less enthused with each successive release. “Abacab” was ok but I found only half of the tracks worth listening to. Duke was a little better. I think the band lost their creative edge after “Wind and Wuthering”, although they were still a fine live act. I saw them on the Seconds Out tour, at Knebworth in ’78 and a few times on the Duke and Abacab tours. I was not terribly impressed with the sound quality on some of their earliier releases, specifically Foxtrot. I always thought it had a thin, almost tinny sound. I also felt that the Lamb didn’t sound as good as it should have. 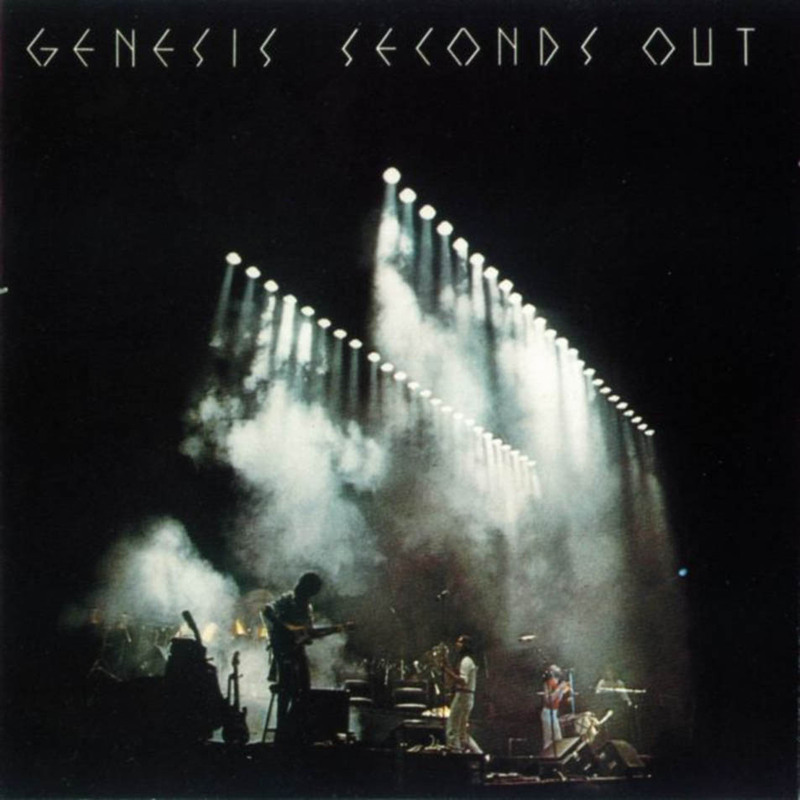 4: Seconds Out – This could be the best Live album ever recorded. The sound quality was unrivalled at the time of release, and still sounds great to this day. The track selection is superb, and showcases the band at the height of their powers, just before the departure of Steve Hackett. 3: A Trick of the Tail – This was the second Genesis album I heard and has a nostalgic attachment for me, being the album which really kickstarted my interest in the band. I think it was the first Genesis album where the band really let themselves stretch out musically, containing some fantastically complex compositions and some magical musicianship. The production set a new standard for the time. 2: The Lamb Lies Down on Broadway – I was not a big fan of this album when I first heard it in ’76. It has slowly wormed its way into my affections, particularly since I purchased the 2008 CD remaster which has addressed my concerns regarding the sound quality. A weighty and ambitious concept album which manages to tell an entertaining story, and which contains many memorable tracks. It has a “heavier” feel than their earlier albums. 1) Selling England by the Pound. Great music, production, and all of the songs tell a story. There are some stellar moments on here, the guitar on Dancing and Firth of Fifth, The Arp solo on Cinema Show. The mobster-fuelled atrocities of “Epping Forest”. All served with lashings of mellotron. Collins and Rutherford were a pretty useful rhythm section too. I always thought that the sound quality of Foxtrot let it down. I may have to buy the 2008 remaster to see whether that’s still the case. Looks like we have another expert on the panel! Usually Nursery Cryme is the one criticized for poor sound quality, not Foxtrot, I thought, but maybe I’m incorrect there. Certainly both aren’t great “sounding” records, compared to Selling England by the Pound. I like Seconds Out almost as much as you fellows, though I find the vocals are mixed kind of low, as though they were scared to put Phil’s Gabriel impression up front. Hmm . . . some interesting stuff here. From the first time I saw Genesis live – on the 25th November 1970 at the New Ressurection Club in Hitchin – I knew that even as a fresh-faced 14 year old, they were something special. The 9th February 1973 Rainbow gig was a high point because it was the last time I saw them with Gabriel. I saw them twice more – once at Wembley on the “Trick of the Tail” tour and then at Knebworth. They were never as good as those many times that I saw them with PG (about 21 times – mostly on the 50p circuit). I guess I gave up by then as the Folk bug had bitten hard – well, Richard Thompson! – and it has kept me under its spell. So, I can’t fault “Trespass” – as a totally naive 14 year old being introduced to music that explored the pastoral as well as electric music (okay, them rocking out was always a bit ‘polite’) it was an eye-opener. “Nursery Cryme” was great – not as good, mind you – but after the hiatus whilst PG rested his broken leg, it was a great return to form. The gig at Hemel Hempstead was worth the wait.After watching PG roll back over his flute on his wheelchair and bend it – probably irreparably – at the Marquee (a great week of gigs at the Marquee – Charisma took it over: VdGG, Audience, Spreadeagle,Bell & Arc et al) is still a strong image in my mind. “Foxtrot” was an emotional tour de force. Finally, they had managed to live up to the promise. I enjoyed “Selling England” and was at the recording of the tv programme for the US at Shepperton Studios in 1973. All good fun but by the time “The Lamb Lies Down” came out, I was beginning to lose interest. It’s okay – “Carpet Crawlers” is a great song and performance. I remember a friend telling me about the Drury lane gig where Gabriel was nearly strangled (and that’s HANGED not “hung” for the illiterates amongst us) but I really had lost interest. So, as far as I care – “Trespass”, “Nursery Cryme”, “Foxtrot” are the only albums I like. 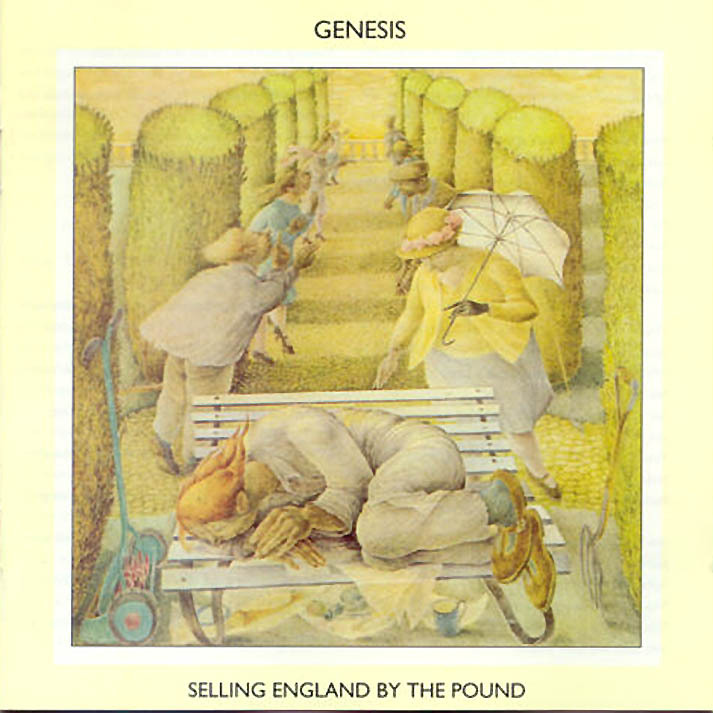 I like some of “From Genesis to Revelation” as I tend to enjoy many band’s early days, and most of “Selling England by the Pound”. After that, I saw the first ever tour of Britain by PG (Bob Fripp hiding behind the curtain!) and later at a Knebworth. I agree with other commentators about “Second Out” but I think that the early promise from the band had blown itself out by the time PG left. Sorry about that but I jumped ship early. But I did want to add a comment about the sound of “Nursery Cryme”. I thought John Anthony did a good job and thought that, for vinyl, it was a great sounding album. Maybe it was the waiting for something after the summer in between the Marquee and Hemel but I thought it sounded fine. And let us not forget Paul Whitehead’s covers – as much part of the package (mystique?) as Roger Dean’s were for Yes. So much promise for young lads such as I back then. I’m rather glad it was Genesis and not some Heavy Metal band that caught my attention. Funny enough, I’ve just commented! Forgot to mention that I love “Once Again” and still have BJH appear regularly on my iPod. Getting better as time passes (them that is, not me!). Thought you might at least have a little something to say about that! Just stumbled upon this and it left me wondering: no love for And Then There Were Three? That is easily my favourite Genesis album (with Foxtrot being a close second). Still a great read! I bet “Follow You Follow Me” gets you all misty-eyed! I suppose I should pick those up then! I just played them both. The sound of Foxtrot is markedly improved, so I assumed that it would displace Nursery Cryme in my list. However, the sound of Nursery Cryme has improved too. Actually, this presents a problem. I have vinyls of all albums from Trespass to Genesis, “Definitive Edition” CD remasters of SEBTP, TOTT, WAW, Seconds Out and ATTWT from 1994, and now the LLDOB, NC, and Foxtrot from 2008. I have played the vinyls on a Linn turntable/Arcam amp/Mission speaker system and the CDs on a Marantz CD/Arcam DAC/Arcam amp/Mission speakers. In terms of pure sound quality, the new masters on CD sound better, but my vinyls are old, although in fair condition. One point to watch out for. The 2008 remasters are remixed. I have heard apparent differences in reverb, instrument positioning, etc. Many people seem to prefer the more original flavour of the 1994 remasters, but I am unable to comment about that. I was surprised From Genesis to Revelation did not merit a mention. In Hiding is a great track – the album as a whole expresses a youthful idealism and I love the production. Trespass, Foxtrot, Nursery, all great records but to be honest they lost their way for me after Selling England. Nothing to do with Phil’s singing, but after that it just seemed all so polished and too well thought out but one of the hazards of being a professional is you do get better. Sometimes in music a little zing and a lot more ting is better. I absolutely hated Wind and Wuthering. Well, interesting point. I like that album and I do feel it’s underrated. However, aside from a few moments on Trespass, the first album is so different to the others that it’s hard to compare. it’s closer to The Moody Blues than to later Genesis sounds. I like the album, but I also love Wind and Wuthering and … Invisible Touch. ;> Guess I’m a super-fan.